This finishes the Bible Verses From Acts. Wednesday is also the last day we read from The Book Of Acts. It has been an incredible 6 weeks with those of you that were emailing me and following this Bible Study. 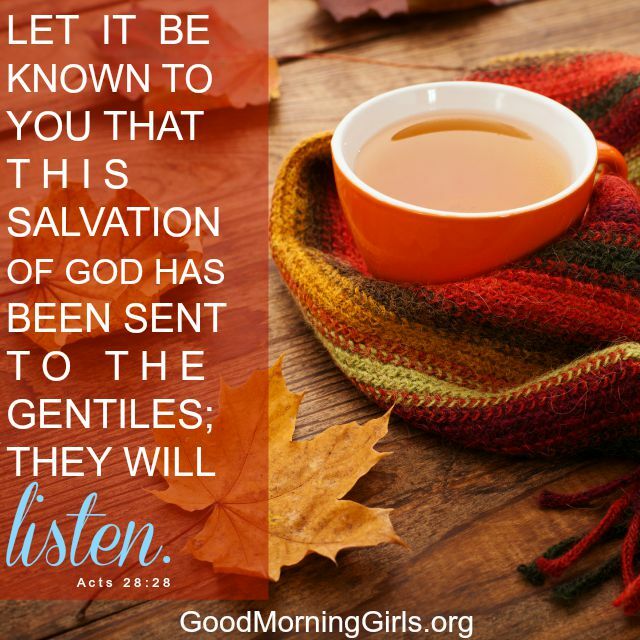 Next Up : Women Living Well and Good Morning Girls will be studying from The Book Of Numbers. It starts a week from Monday. Have an awesome Wednesday With The Lord.